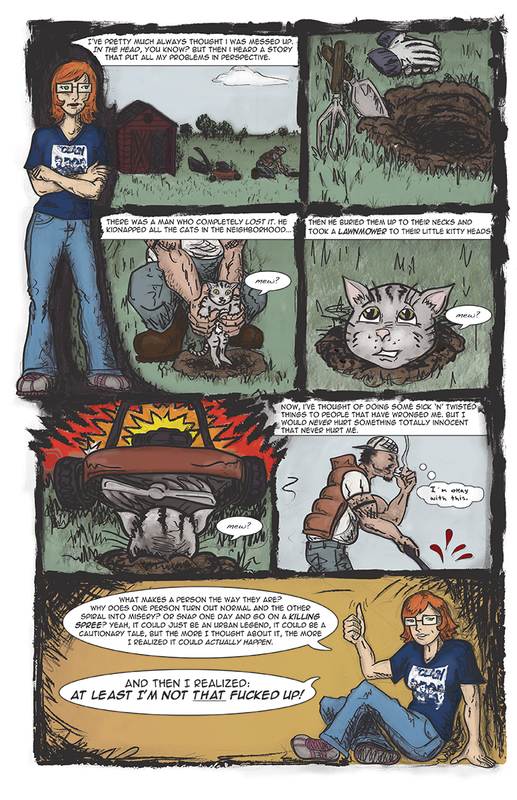 So, two years after we started working on this, and a year after the drawing were finished, here’s our first comic! Whoo-hoo! And if this doesn’t scare you off, come back next Thursday for another one. Or maybe even Tuesday if I feel like putting up a quick one. You just made my fiancée cry. I, on the other hand, loved this! In a normal way, of course. You’re welcome! Also, get used to it! Knew someone who did this, took great pride in it too. Yikes, high school sucked.